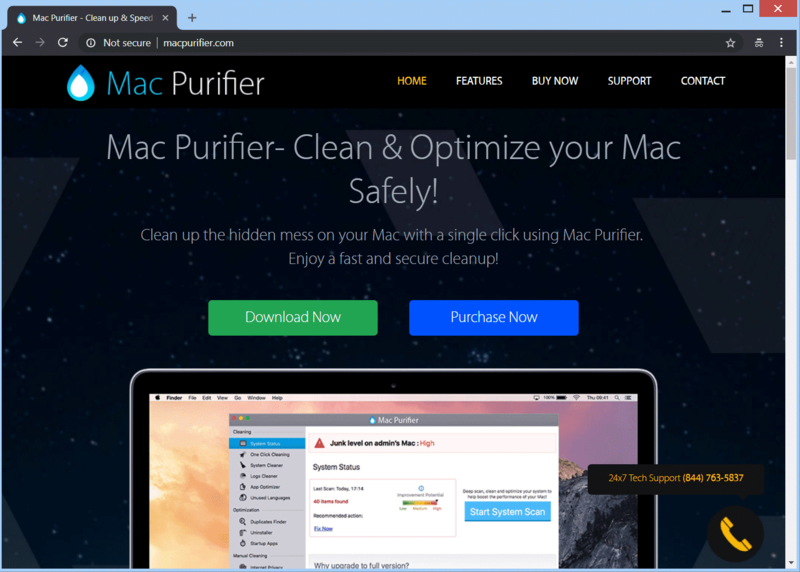 This article has been created with the main purpose to explain to users what is Smart Mac Cleaner virus and how you can remove it completely from your computer. The Smart Mac Cleaner riskware program is an unwanted app which aims to convince victims that it is a legitimate optimisation utility, but in fact it is a sort of useless optimisation tool which only aims to show fake results of it’s scanning process in order to convince victims to buy it’s licensed version. Researchers advise to not pay for any version of Smart Mac Cleaner and avoid this program if possible. Read this article to learn more about Mac Tweak, it’s risks and how to remove it from your Mac. Short Description Smart Mac Cleaner is a hoax system speed up utility which only aims to get users to purchase it’s full version. Symptoms Smart Mac Cleaner runs automated scans that detect multiple types of erros to be cleaned up on the victims’ computers. User Experience Join Our Forum to Discuss Smart Mac Cleaner. For Smart Mac Cleaner o be installed on your Mac, the software may self-replicate via several means. One of them is if you fall victim of an adware application that has already installed itself on your Mac or your web browser. Such applications are a common sight and they tend to show a vast ammount of advertisements on the computers they have compromised. 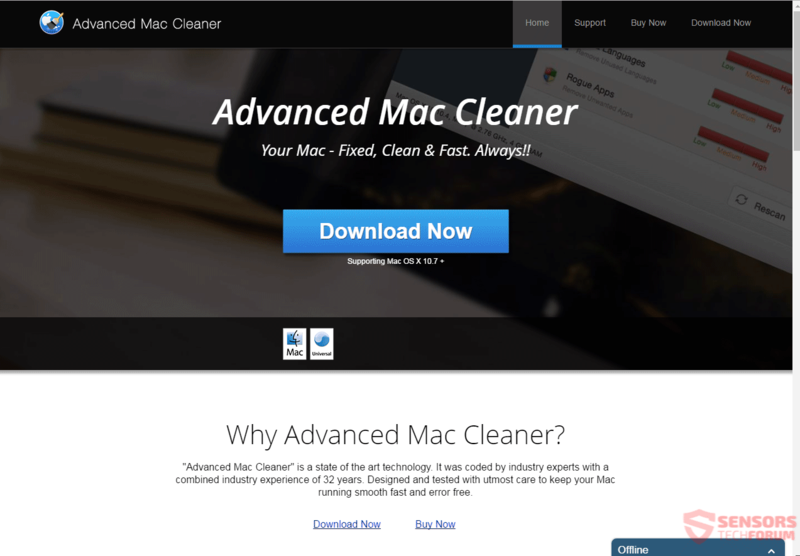 One of those ads may have led you to Smart Mac Cleaner’s main site, where the program is advertised as a legitimate cleanup utility. But do not be fooled, because it is far away from being that. What is Mac Speedup Pro? How to remove Mac Speedup Pro from your Mac effectively and how you can try and protect your Mac from intrusive software? 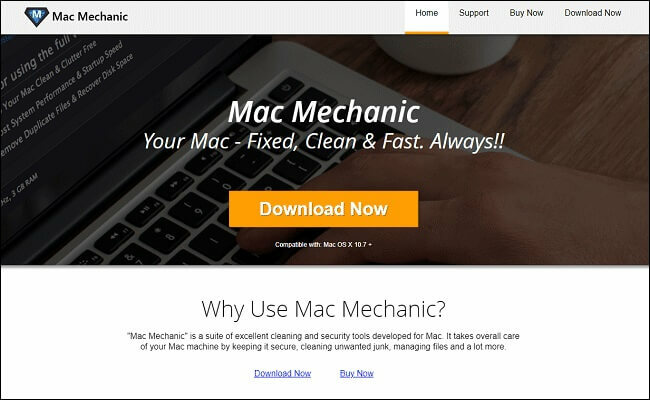 What is Mac Auto Fixer? How to Remove Mac Auto Fixer PUP from your Mac? 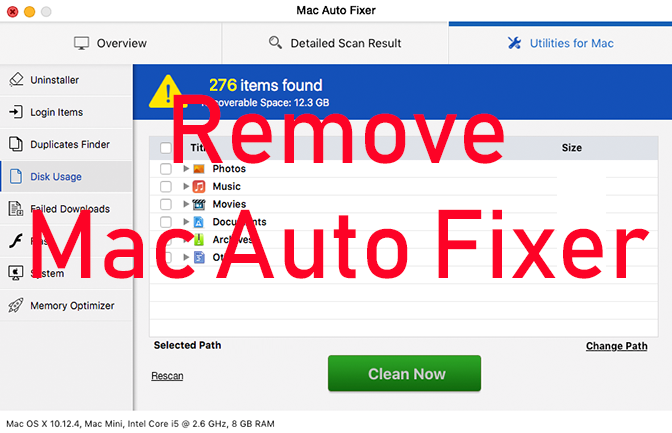 How to make sure Mac Auto Fixer does not come back in the future? Remove Mac Mechanic totally. Mac Mechanic is a PUP. Follow the Mac Mechanic removal instructions for the unwanted software given at the end of this article. 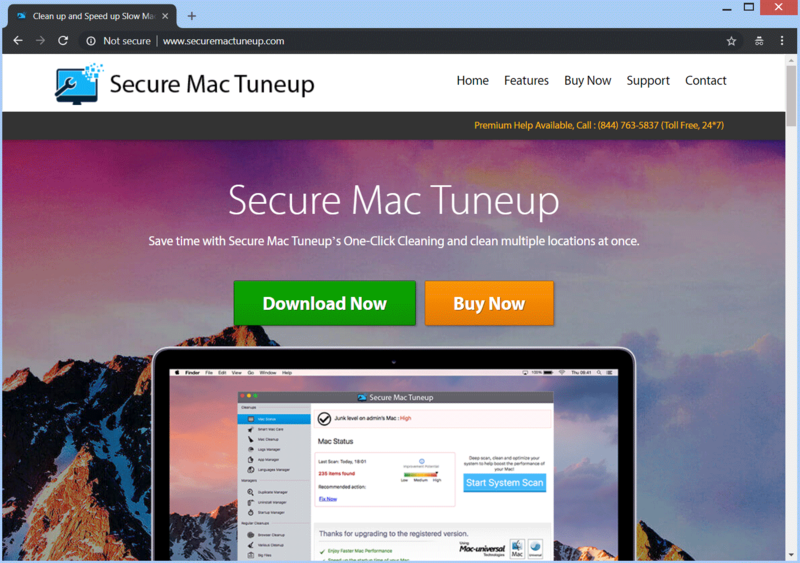 Remove Secure Mac Tuneup totally. Follow the Secure Mac Tuneup removal instructions for the unwanted software given at the end of this article. Remove Mac Purifier effectively. Mac Purifier is a PUP. Follow the Mac Purifier removal instructions for the unwanted software given at the bottom. Online sites you have searched for. Permission to install toolbars and browser extensions. All of these combined make Smart Mac Cleaner a program that is generally unsafe to keep on your Mac and it’s removal is highly reccomended. If you are gearing up for removing Smart Mac Cleaner PUP, we have got you covered. One way to remove this pup is to try the steps we have showed below. If they seem to not work and the program self-reinstals on your computer, this means that it has scripts that hide it well. For such removal, you will need the power of an advanced anti-malware software, which should be able to scan your computer and take care of this problem for you. Threats such as Smart Mac Cleaner may be persistent. They tend to re-appear if not fully deleted. A malware removal tool like Combo Cleaner will help you to remove malicious programs, saving you the time and the struggle of tracking down numerous malicious files. Threats such as Smart Mac Cleaner may be persistent on your system. They tend to re-appear if not fully deleted. A malware removal tool like SpyHunter will help you to remove malicious programs, saving you the time and the struggle of tracking down numerous malicious files. Note! Your computer system may be affected by Smart Mac Cleaner and other threats. SpyHunter is a powerful malware removal tool designed to help users with in-depth system security analysis, detection and removal of threats such as Smart Mac Cleaner. 1. 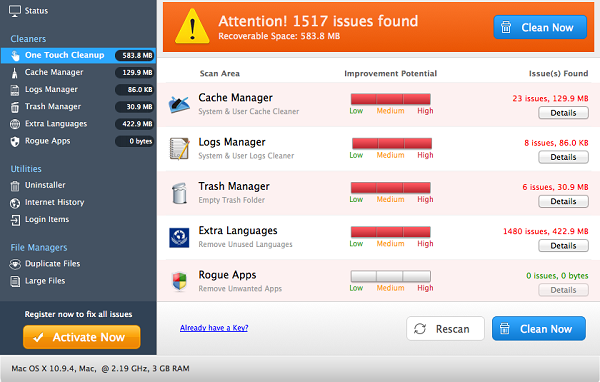 Install SpyHunter to scan for Smart Mac Cleaner and remove them. 2. 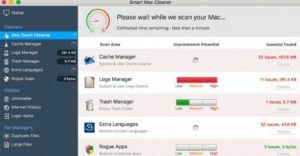 Scan with SpyHunter, Detect and Remove Smart Mac Cleaner. Ransomware infections and Smart Mac Cleaner aim to encrypt your files using an encryption algorithm which may be very difficult to decrypt. This is why we have suggested several alternative methods that may help you go around direct decryption and try to restore your files. Bear in mind that these methods may not be 100% effective but may also help you a little or a lot in different situations. Note! Your computer system may be affected by Smart Mac Cleaner or other threats. Remove Smart Mac Cleaner by cleaning your Browser and Registry. Fix registry entries created by Smart Mac Cleaner on your PC. Combo Cleaner is a powerful malware removal tool designed to help users with in-depth system security analysis, detection and removal of threats such as Smart Mac Cleaner. Step 5: In the Applications menu, look for any suspicious app or an app with a name, similar or identical to Smart Mac Cleaner. If you find it, right-click on the app and select “Move to Trash”. Step 6: Select Accounts, after which click on the Login Items preference. Your Mac will then show you a list of items that start automatically when you log in. Look for any suspicious apps identical or similar to Smart Mac Cleaner. Check the app you want to stop from running automatically and then select on the Minus (“–“) icon to hide it. Remove Smart Mac Cleaner – related extensions from your Mac’s browsers. A pop-up window will appear asking for confirmation to uninstall the extension. Select ‘Uninstall’ again, and the Smart Mac Cleaner will be removed. When you are facing problems on your Mac as a result of unwanted scripts and programs such as Smart Mac Cleaner, the recommended way of eliminating the threat is by using an anti-malware program. Combo Cleaner offers advanced security features along with other modules that will improve your Mac’s security and protect it in the future. 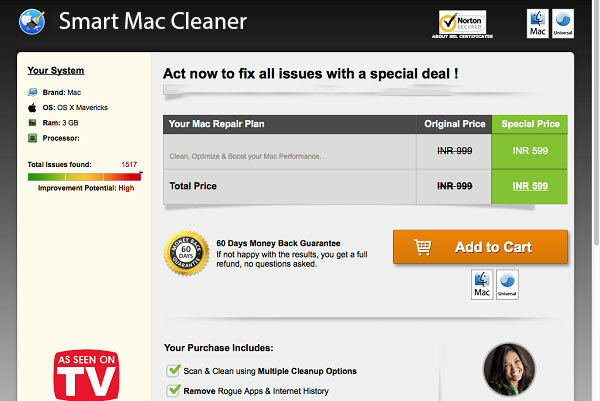 Hey !, I found this information for you: "Smart Mac Cleaner “Virus “– How to Remove It". 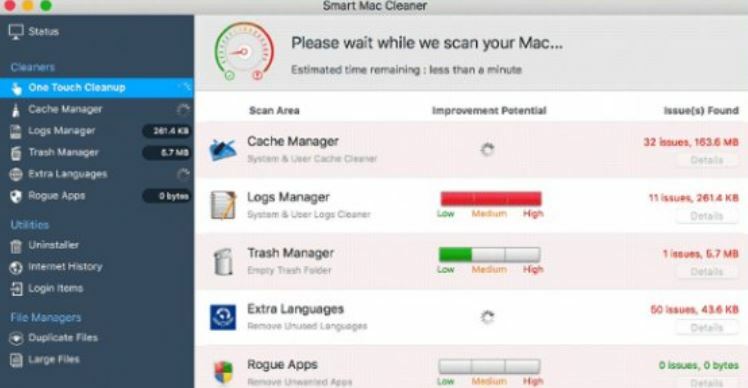 Here is the website link: https://sensorstechforum.com/remove-smart-mac-cleaner/. Thank you.